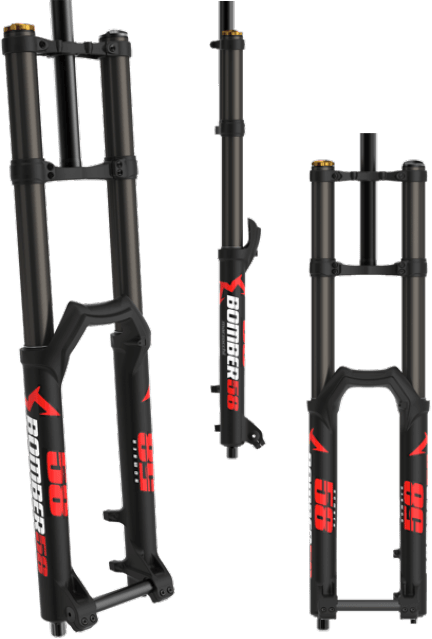 Marzocchi announces the return of the Marzocchi Bomber Forks with the Bomber Z1 Trail Fork, and the Bomber 58 Downhill Fork outfitted with Fox Technology. The Marzocchi Transfer dropper post is also included in the new lineup. With the new Fox ownership, Marzocchi is planning to use Fox’s manufacturing and a select list of Fox technologies to bring back the Bomber into the spotlight. The differences between the Fox lineup and the Marzocchi lineup will be the advanced technologies will remain in the Fox family, while the Marzocchi family will be geared toward the riders who are looking to keep their fork purchases within a tighter budget. I have great memories dating as far back as 1999 riding Marzocchi through out the years, with a collection of Bomber Z1, to Monster T, Junior T, and the Shivver to name a few. 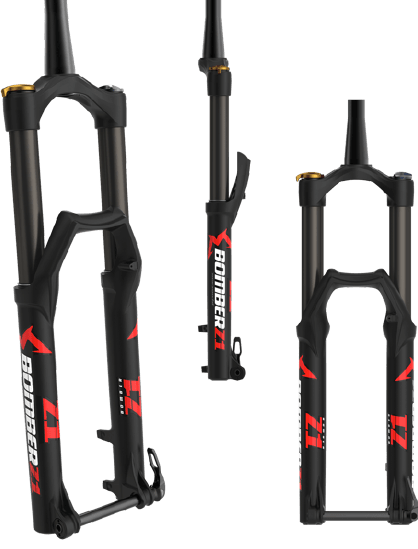 The Bomber Z1, originally introduced in 1997, makes its legendary comeback with the a 36mm stanchion single crown trail fork in 29/27.5+ or 27″ chassis options, 1.5 inch tapered steerer tube, Boost 15 x 110mm spacing and either QR thru axles or tooled thru axles. The Z1 will consist of the Fox FIT GRIP Sweep damper and come with a price tag of $699USD. Settings adjustments will offer compression, rebound, and an adjustable EVOL air spring. 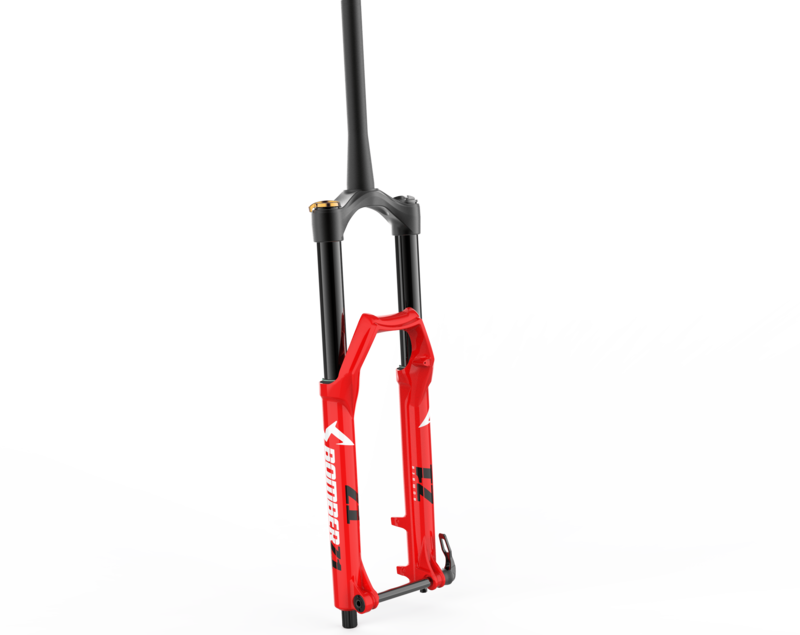 The Z1 is offered in either matte black or gloss red, with travel options at 150-180mm in 10mm increments for the 27.5″ fork or 130-170mm in 10mm increments for the 29/27.5+ fork. 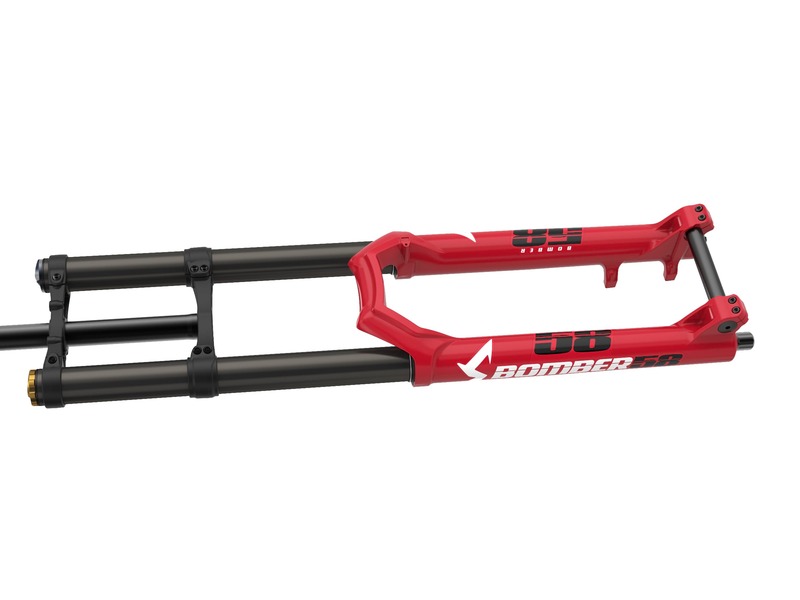 The Bomber 58 comes in at a 203mm travel dual-crown 40mm chassis for a 27.5″ wheel. It’s clear the Bomber 58 takes a queue from the Fox 40. 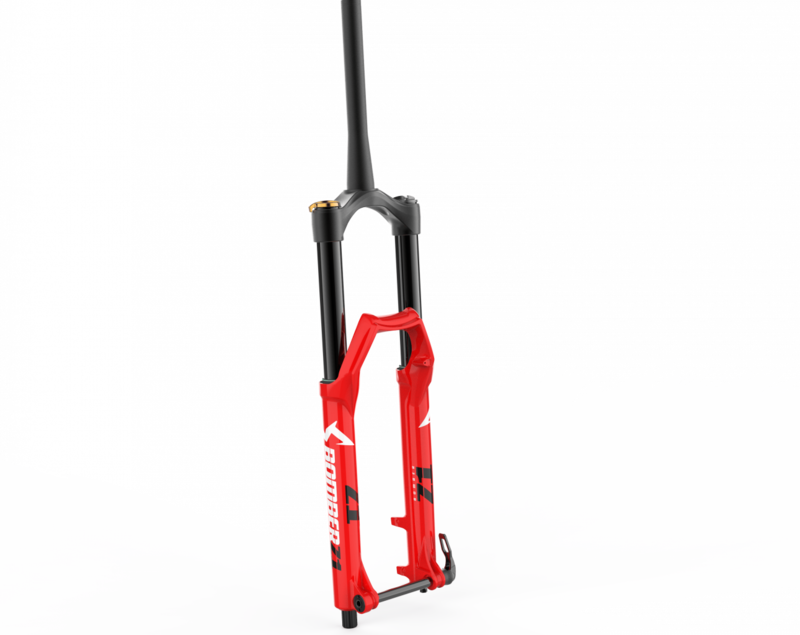 The gravity fork is outfitted with an air spring, Fox FIT GRIP damper with a 20x110mm non-boost DH spacing. Settings adjustments onboard the 58 are and EVOL air spring, compression, rebourd, and negative air spring pressure. Finishes for the Bomber 58 are the same as the Bomber Z1, matte black or gloss red. The Bomber 58 comes with a price tag of $999USD. This dropper post is just like the Fox Transfer post, offered in 100mm, 125mm, and 150mm travel options. Routing options are either external or internal and two remote options. Post sizes are 30.9mm or 31.6mm and comes with a price tag of $294USD.